Service providers offer critical support to victims and survivors of human trafficking. Victims and survivors often have ongoing, complex needs, including case management, shelter, legal services, and mental health care. Social service organizations in human trafficking and allied fields are well positioned to identify, support, and protect victims of human trafficking through their work. 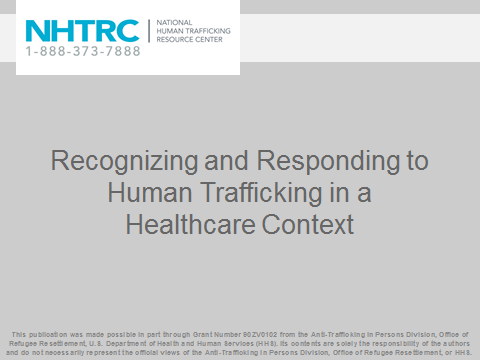 If you are a service provider working with victims and survivors of human trafficking, browse the resources below to find relevant online trainings, reports, and assessment tools. 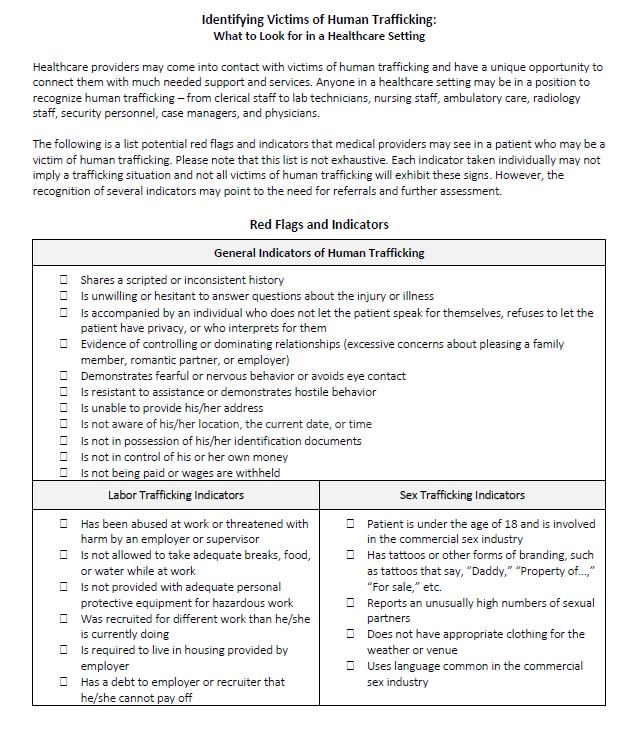 A trafficking assessment tool for domestic violence and sexual assault programs to identify and assist potential victims of trafficking in Spanish.